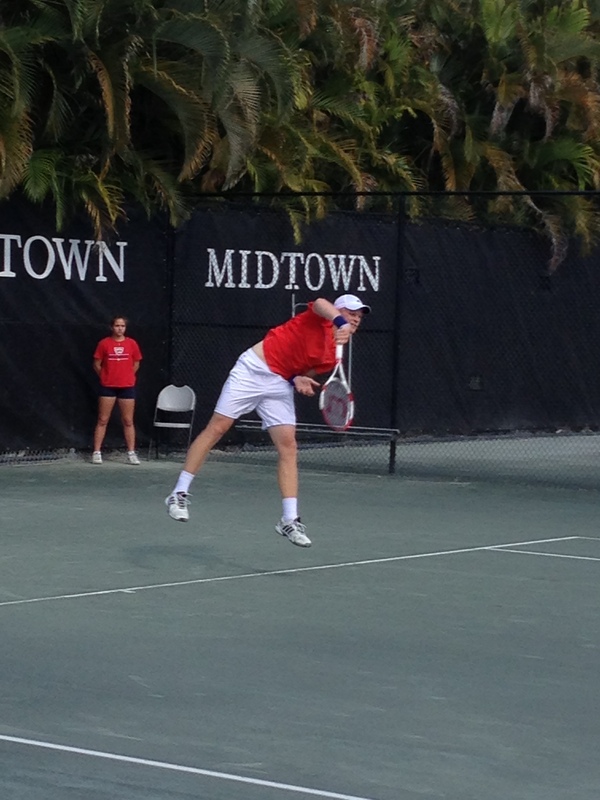 Ahead of his semifinal match on Saturday versus Isak Arvidsson, I caught up with my third Player to Watch for 2014, 19-year-old British up-and-comer Kyle Edmund, at the Midtown Athletic Club in Weston, FL. We talked about his selection for the upcoming Davis Cup clash with the United States. Also: tennis drills, lessons learned and life on the road. As ever, he has a lot of intelligent things to say. Challenger Tennis: Congrats on your Davis Cup selection, what is this — the third team for you? Edmund: Thanks. Yeah, the other two, I wasn’t in the squad or team. I was just there as like a hitter. So that was obviously against Russia and Croatia, but this is the first time I’ve actually been named on the team, which is a great feeling for me. The only one who’s definitely gonna play is Andy [Murray], so the other spots are still sort of open to play. Obviously, it’s Dom Inglot and Colin Fleming for the doubles, and then it’s between me and James Ward for singles. So the playing spots are still not 100 percent, but to be there and for Great Britain to be in the World Group — I think the last time we won a World Group match was like 1980-something, so it’s a long time. To be there is definitely going to be a great experience. Challenger Tennis: For sure. 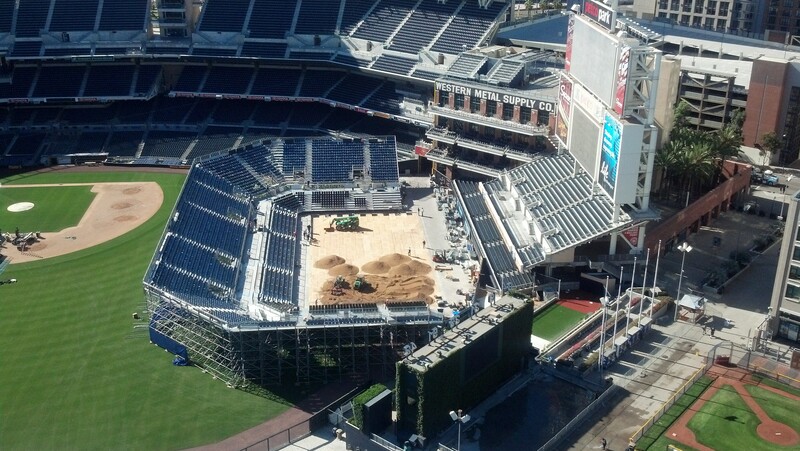 Have you seen pictures of the court construction as it’s being laid down in Petco Park? Edmund: Yeah, I have, I’ve seen a few. The last one I saw they actually did half the court, I think. I saw half the clay court — obviously they have to do the other half — but it looked really good. To be inside a baseball stadium on a tennis court, I mean, the stage is set to be really exciting and amazing. Challenger Tennis: So are you here by yourself now or is there anyone from your team with you? 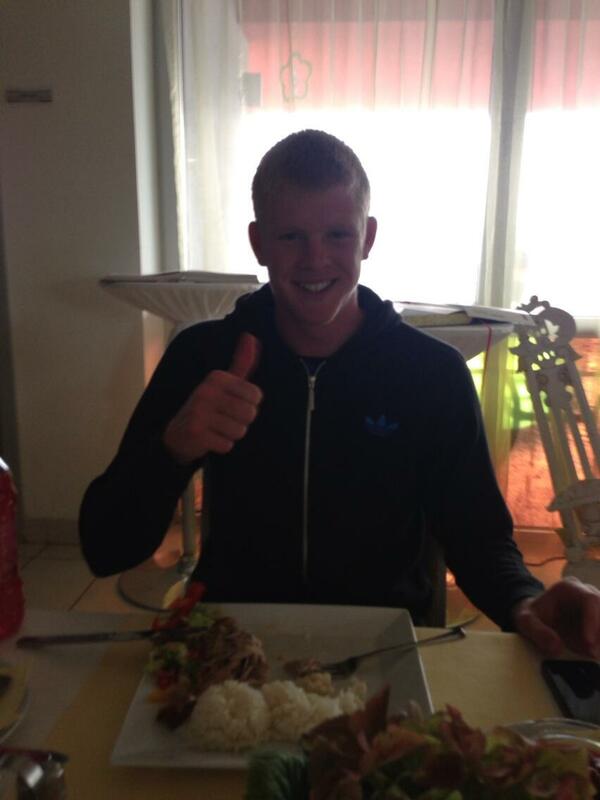 Edmund: I’m here with my coach, my tennis coach, and also with my fitness trainer. But they’re also involved, they’re actually fitness trainer for the Davis Cup, and my coach is a Davis Cup coach, so it works really well. They’re here, and then tomorrow — win or lose — we’re gonna go tomorrow night to San Diego. So it works really well, them being here helping me and then traveling over to meet the team there. Challenger Tennis: I know you don’t like specific ranking targets, but what specific drills are you doing to maybe help with footwork or focus and the things you want to improve? 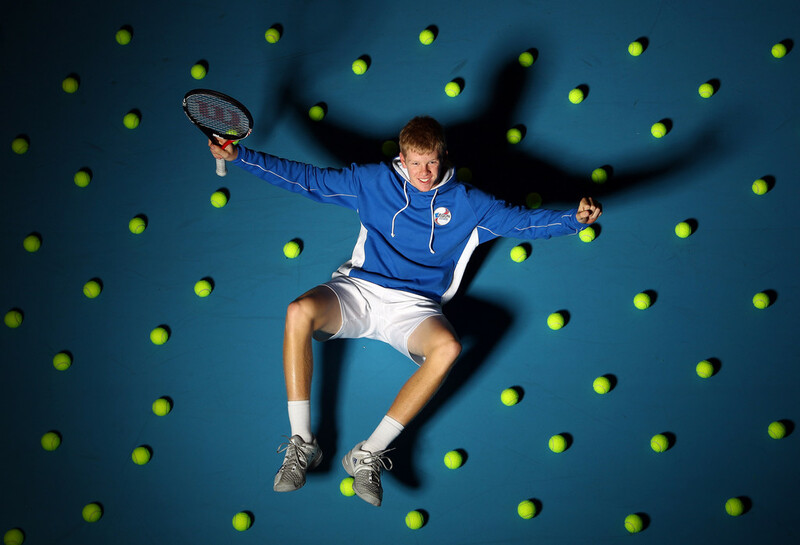 Edmund: I’ve been with my coach two and a half years now, and definitely being with him, we’ve done a lot of what we like to call our “core drills” — drills that make me tick, make me feel good and help my game. If I know that these drills are working well, then I know I’ll play pretty well. And it’s really basic stuff. It’s just like crosscourts, but then if I get a short ball I’ll come to the net, trying to be offensive. Recently, we’ve done a lot of movement, so we’ll do like “two-two” it’s called, where he sends one corner, I’ll hit two forehands and two backhands and two forehands and keep going for like two minutes. But it obviously gets quite physical, side to side. And then we do just lines. So for the first part of the session, we do a lot of drilling, a lot of numbers almost, get a lot of balls in play and then start maybe doing some more shorter stuff but it’s more aggressive. I like to use my forehand, so we’ll do a lot of stuff working my forehand, coming forward. And then at the end of the session we’ll do serve and return. It’s a bit different now, playing tournaments; you don’t do long hours on the practice court. But certainly when I was training with Andy, we were doing three hours on court each day. Challenger Tennis: So, basically, all your on-court time is with specific drills in mind as opposed to just hitting. Edmund: Oh yeah, for sure. I’m not going to do something that I don’t feel is relevant to me. Challenger Tennis: You’ve said a successful tournament is one that you take something away from, and learning something is the main thing. Is there a specific match last year where you learned the most, and maybe what specifically did you learn? Well, folks, since my first Player to Watch selection for 2014 was 17 years old, and my second PTW pick is 19 years old, I thought it only fair that I include an 18-year-old pick today, lest I be accused of ageism. Today’s player might not have as many junior or pro singles titles as Borna Coric or Kimmer Coppejans (he does hold a 2-1 H2H advantage over the latter, having not played the former), but he’s got a tangible amount of intangibles going for him in a way that makes his imminent success seemingly even more assured. Also, for today’s profile, I’m going to try something different: since the guy I’m writing up has so many smart things to say, generally, about his game and others’, I’ll try to use his own words wherever possible, rather than rely on my usual speculative yammering. Posting a 40/18 record in his first full year on the pro tour (a winning percentage of 69%), the strapping English 18-year-old has won three Futures titles in last 13 months or so, and rose 503 spots in the rankings in that time. He was also the first 1995-born player to take a title at the professional level, when he beat Chase Buchanan 7-6(2) 2-6 6-4 to claim the USA F29 Futures late October of last year. His late-2012 results have dropped off his ranking this month, leaving him at #381. But is he panicking? Is he rushing off to try and make up those points at Futures tourneys at the end of this year? Hell no. The precocious lad is off instead training hard with a Slam winner (as PTWs tend to do). But more on that later. Kyle generally wowed the world with a sizzling stretch of play through the spring and summer, during which he went 30/9 and challenged some of tennis’s top players. 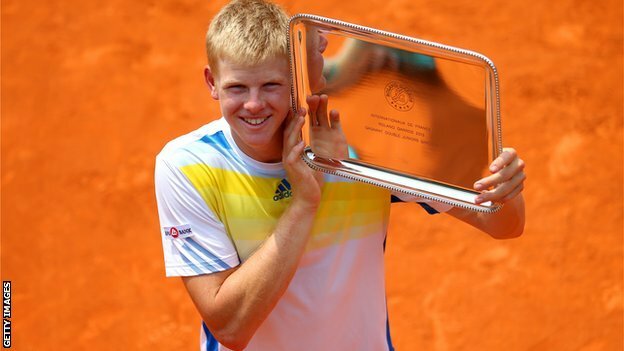 He began by taking his third pro title at the USA F11 Futures in April, then made up for his singles defeat to Alexander Zverev on his favorite surface (clay) in the Roland Garros boys singles quarterfinal by taking the doubles title with Portugal’s Frederico Silva. Then it was onto the grass season in Engerland, which is where the British media discovered him (God help him). Thankfully, their dross is my gain, because as much as I enjoy Edmund’s game and its potential, I also appreciate how he conducts himself off the court.